I’ll show you few examples of how to combine the footprints with the Advanced Search Operators and come up with seriously powerful backlink finding search strings that have been fully described at links provided above. This string will give you registration pages by using the inurl function to look in the url and the register.php footprint. You can replace the keyword with any keyword according to your niche. This will give you a broad range of results from forums to guestbooks to web 2.0 sites and more. TIP: Very often I just include an additional keyword such as “forum” or “blog” to get more targeted results. The above string is not as complex it looks if you break it down to small steps. “keyword” blog – This string will simply search for the sites that contains blog and the keyword of your choice. site:.edu – It will search for just .edu sites. -captcha -nofollow – It’ll exclude any sites that say captcha or nofollow on them. “leave a comment” – It will search for the words leave a comment on the site. This string is just a variation to previous string. The important thing to note that you can alter the .edu portion to any other extension you wish like .gov, .info, .com etc. ..
What do you see in the above examples is that the order of footprints and advanced search operators does not really matter. Similarly, you can go through other search operators and footprints and come up with other personalized search strings for finding blogs to comment. Here are my few advanced search strings that I use to search forums and leave backlinks. This way you can find unlimited supply of Paul and Angela type backlink locations using searches such as these. site:.edu “powered by vbulletin” – This search string returns all .edu type forums powered by vbulletin. You can also do “powered by SMF” or “Powered by Invision Power Board” or /phpbb2 for finding other kind of forums. inurl:login site:.com “forum” This string searches for .com type sites forums that have login form in the url. Additionally you can add your keyword to find niche related forums. “keyword” forum site:.gov This searches for .gov type forums that contains your specified keyword. I have not added this to the list of footprints, but the other great way is to search for guest blogging opportunities if you want to get backlinks through guest posts. Try these footprints below. These searches will find list based posts such as Top 27 ways to workout. Of course with each of these advanced searches, you can include a keyword to find list type posts on specific topics. Also, if you want lists that are no smaller than15, then change the numbers to 15..99. I actually think this is one of the funniest searches, because top lists are always interesting and informative. One more golden nugget of a search you can use is to use a variant of one of the following search string in order to find lists that others have compiled of different backlinking opportunities. I just wanted to show you how it works with the few examples above, don’t let that keep yourself from experimenting and finding other great footprints. I don’t want to overwhelm you even before you get started. My hope is that you can see that this is just scratching the surface of what can be done and how to find as many backlinking opportunities as you could possibly imagine. 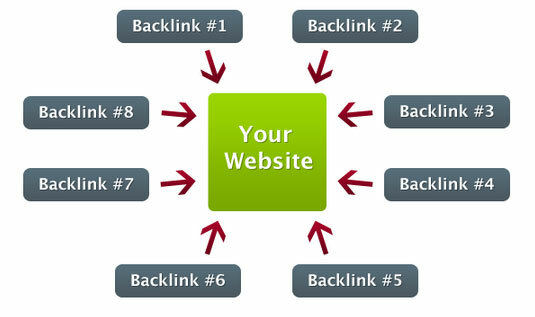 With this knowledge, you can sell backlinking services, build some powerful link juice to your own sites or even sell link packs on Warrior Forum. Whatever you decide to do, the important thing is that you take this knowledge and TAKE ACTION. 3. How do Google algorithms identify paid backlinks from natural ones? This entry was posted in SEO and tagged Advanced Search Operators, backlink finding, blogs that you can comment on, comment on the site, footprints, guestbooks, more targeted results, powerful backlink, registration pages, search strings, sites that contains blog. Bookmark the permalink. Follow any comments here with the RSS feed for this post. Post a comment or leave a trackback: Trackback URL. I really like your strategies that how we can build backlinks in different ways to increase the position of our keywords in search engines. This is a nice piece – we use these kind of footprints daily, still the most targeted way to find what you want. In fact. I think the big prospecting tools like Link Prospector are doing just this behind the scenes…. Wow Bradudan, thank you mate! I have been looking for search strings to find blogs and on various other sites where I could leave comments. I like the list you have compiled together. I will be using them tomorrow to build a community around my brand. Thumbs up, mate. Definitely an informative post – link building can be such a pain & largely pointless when you can build more gain for less links. A very clever technique for identifying useful link sources! I like it. Thank you very much. This article was helful. thanks!